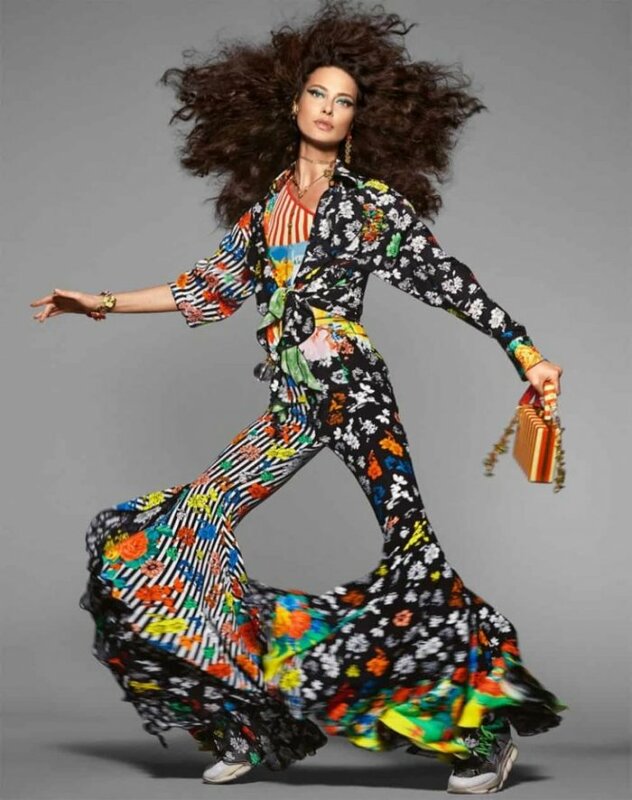 Versace continues to pay tribute to its 90’s Richard Avedon advertisements with the launch of the spring-summer 2019 campaign. Photographed by Steven Meisel, the studio lensed images star Shalom Harlow (who closed the runway show), Bella Hadid and Irina Shayk in solo shots. The group images include Rianne van Rompaey, Imaan Hammam, Adut Akech, Kris Grikaite, Vittoria Ceretti and Blesnya Minher. 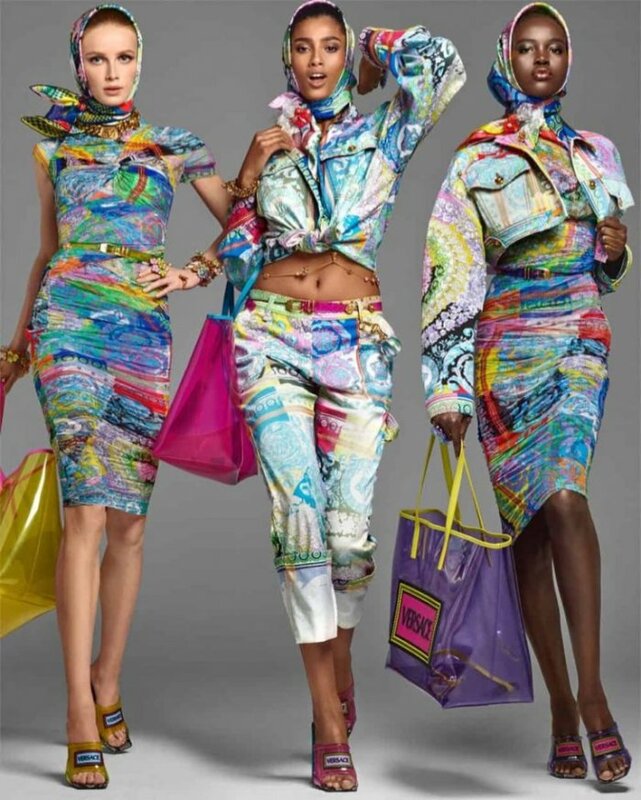 Styled by Jacob K, the images spotlight bold prints and colors with Pat McGrath on makeup and hair by Guido Palau.